When it comes to essay writing in college or university, some people are content to write an essay that’s just only good enough to hit all the marks of what their professor is looking for in an essay. Many people find this to be a boring activity, and spend as little time with it as possible. However, some others aren’t content with this. We want our studies to become the gold standard of all college essays, not just pleasing our professors, but wowing them with our in-depth knowledge of the subject and receiving praise for the brilliant prose within the essay. For those of you who are content with just getting a passing to a good grade, you might consider using an writing service to help fit your needs. An essay writing service such as EssayHub can take away the boredom and tedium of writing an essay, and put together a well-researched and beautiful essay that is sure to receive a high grade. For the rest of you, though, you want this essay to be a reflection of not just your knowledge of the subject, but a reflection of yourselves. Receiving a high grade isn’t good enough for you. You have lofty goals in mind, and you want our works to show your true worth. For those who fit the latter category, there are a number of tips that we can impart on you to help maximise not just the overall quality of the essay, but the impact that your essay will have on those who read it. 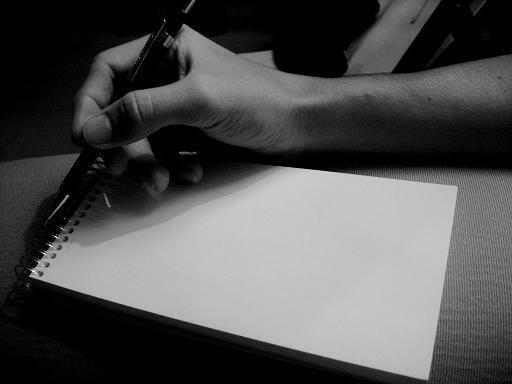 The first step towards writing a brilliant essay should also be the most obvious. Knowing your subject well is an essential part of writing the perfectly brilliant . Your subject is something that has probably been discussed in class, but your knowledge of it shouldn’t be limited to what you heard your professor tell you or what you read in your text books. Doing independent research on your subject outside of your course materials will help show your professor that you’ve thoroughly researched your subject and that you very well know what you’re writing about. Again, don’t limit your study and research material to just what you’ve used in class. Go to the library and search for other books or materials that give new insight into your subject, or help showcase a viewpoint that may be different than what is commonly expressed. If the subject of your essay is something that has been argued about, make sure that both sides of the argument are well-researched and presented in your essay. Once you’ve researched your subject well beyond what is required for just a bare minimum essay, make sure that you compile your source material well, including making the appropriate footnotes in your study and including a comprehensive bibliography. Again, make sure that you’re not just using sources found within your college library. Your professor has likely been teaching this subject for a long time, and he can probably cite most of the primary sources on the subject within your college library by memory. Instead, use source material found outside of it. If you find the work of an author who is an expert on the subject, don’t be afraid to try contacting that author for help or for further discussion on the topic. for both sides of an argument. This phrase tends to be overused a bit in many aspects of life, but it’s one that will serve you well to remember. You probably aren’t the first student in your class to write an paper about a particular subject, or to formulate a certain opinion or thought within an essay. Show your professor that you mean business by looking at unorthodox ways of presenting your argument or thoughts within the essay. Writing down dry facts and presenting them in an uninteresting manner aren’t going to win you any points. Instead, write something that you know will grab the reader’s attention and imagination. Use some flair in your writing to entertain and inform the reader. Your professor may just thank you for doing this. Many people tend to overlook the importance of proper spelling and grammar in an study, and many professors like to start knocking off points from a student’s grade when they encounter errors in these areas. The importance of using proper spelling and grammar in your essay is vitally important, and should by no means be overlooked. Most computer word processing programs have good spell checkers included, so make sure you use it. Check your grammar and make sure there are no misplaced punctuation marks or run-on sentences. Proofread your work multiple times to make sure that you’ve caught all errors, and then have a friend or classmate proofread it also just for a set of fresh eyes. In addition to this, your writing style can be just as important as proper spelling and grammar. Using dry, simplistic words and phrases in your study won’t do you any favours. Use colourful words and express ideas in a visual manner instead of just laying out the cold, dry facts. Consult a dictionary or thesaurus for help if you need to. When it comes to crafting the perfect essay, no small detail should be overlooked. Making sure that you follow all of the points above will ensure not just a good grade, but recognition for a job well done. If choosing a good writing service is something that you prefer to not do, then paying attention to full detail will win the day for you.